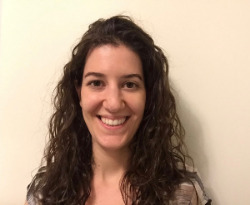 Bailey Gallinger, MSc, CGC received a Master of Science in Genetic Counselling from Brandeis University in 2012, following which she worked in Prenatal and Cancer Genetic Counselling with Integrated Genetics in Miami, Florida. In 2012, she received her certification in Genetic Counselling by the American Board of Genetic Counseling (ABGC). part of the Genetics Urgent Clinic and Cancer Genetics Program. Bailey is also actively engaged in cancer genetics research with a specific interest in pediatric oncology and emerging genetic technologies. She is actively involved in the University of Toronto M.Sc Program in Genetic Counselling as a Lecturer and clinical supervisor. Bailey is a member of the National Society of Genetic Counsellors (NSGC).